So what to get the foodie in your life? The person who loves to cook and eat and feed all and sundry? Some nifty new kitchen gadgets would surely be appreciated. (I know I wouldn't mind at all if someone bought me a Vita-Mix.) Here's a list of things I find indispensable in my kitchen or otherwise covet. I deliberately didn't post this on Black Friday because everything on this list can be purchased online, most things via Amazon.com. And isn't that better and more convenient than waiting in line overnight just to get into fisticuffs with another shopper over that last video game? Fans of Top Chef and Iron Chef have seen contestants using a machine called an immersion circulator to cook foods at a constant temperature. These devices are basically a motor that heats and circulates water in a large basin. The result is usually perfectly-cooked protein, whether it be chicken, pork, or beef. The SousVide Supreme water oven does much the same thing, but in a self-contained unit without visible moving parts. Just put the water into the container, punch in the temperature, and plug it in. You'll then need to seal the food you'd like to cook in water-tight plastic pouches and place them in the water when it comes to temperature. Depending on what you're making, cooking times range from minutes to days, but it all happens quietly while you're doing other things. I've made some perfect pork tenderloins and chicken breasts in my machine, and highly recommend it. 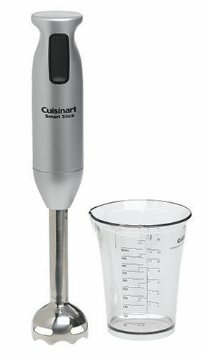 I've had my Cuisinart stick blender for at least 15 years. Maybe even 20. My dad purchased it and I confiscated it when I got married. 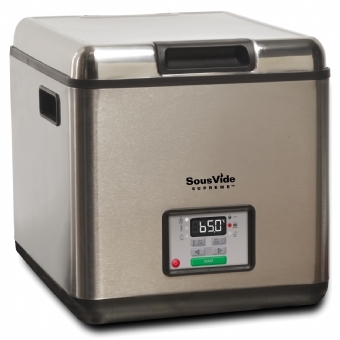 It's been used to smooth out countless soups and sauces and has never let me down. Dad bought another less-expensive brand as a replacement, and it just didn't do the trick - the motor wasn't strong enough. The Cuisinart also comes in many color choices, to match your kitchen decor or not. Plus, it's easy to clean. If you need something solid turned into a puree, the Vitamix is for you. Far mightier than the average blender (mine doesn't even particularly like soft food, like the ingredients for gazpacho) the Vitamix does stuff that a food processor does (chop, pulverize, grind) and turns out a really lovely smooth soup to boot. I covet one of these, but a) can't afford it; b) don't really have counter space (unless I get rid of my blender - which I am happy to do if suddenly gifted with a VitaMix (hint hint to the Vita-Mix Corporation). If you don't already have one of these for all of your zesting and grating needs, what are you waiting for? This nifty kitchen tool is perfect for zesting a lemon, grating fresh Parmesan over your pasta, even grating a bit of fresh nutmeg for a custard. It also grates fresh ginger (which I keep in the freezer, so I grate it frozen) in a flash. The long shape is perfect for resting over most sizes of bowls, to give stability while grating. We've had ours for 10 years now and it's still going strong. 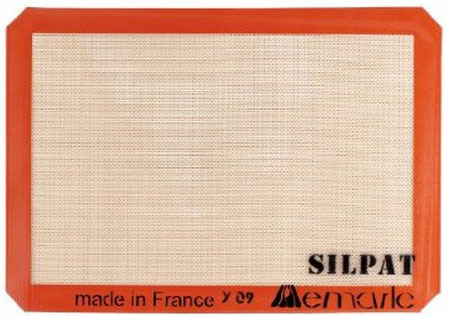 There are several brands of silicone mats on the market now, but Silpat is still the best. It's indispensable for baking cookies, especially during the holidays - nothing sticks to it, and it doesn't need to be greased. It's also great for rolling out pie or bread dough, and for most baking chores. We have two, and I can't believe we ever went without them. 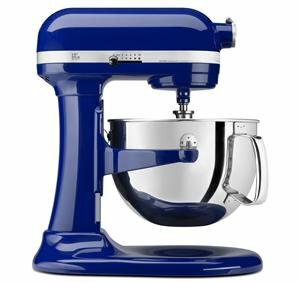 We received our KitchenAid stand mixer as a wedding gift from my mother, and it's one of my all-time favorite appliances. It mixes up cookie or bread dough in a snap, and it's easy to clean. Also, I prefer the crank lift on the professional models to the lift-up head on the standard models (those heads are heavy and I have weak wrists). It comes in a bunch of nice colors, including chartreuse and tangerine, but I still love my more traditional cobalt blue. Another small appliance that we received as a wedding gift oh so many years ago was a simple on/off rice cooker. I had added it to the gift registry for the hell of it. Mr Minx thought it was an impractical gift, but in the end, we've used it about once a week for the last 12 years. 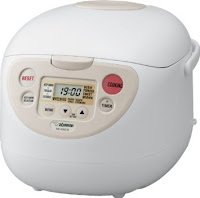 It still works great, but when it finally kicks the bucket, I think we'll invest in this fancier "fuzzy logic" model that can be used to cook more than just plain white rice.